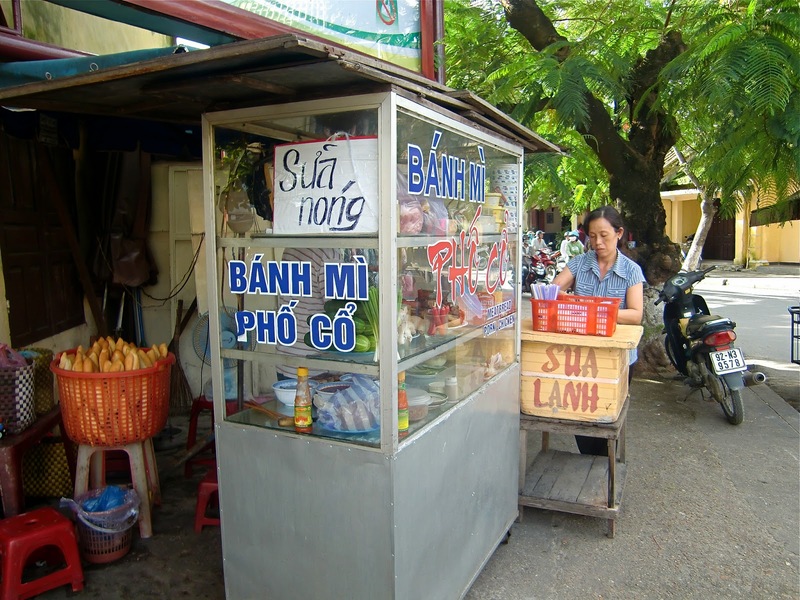 What aspect makes or breaks a banh mi? Well I always thought that it was the fillings, I’d base it on how good it was or how much there was – the standard mayonnaise, red skinned roasted pork, pate, pickled carrots, cucumber, spring onion and coriander. 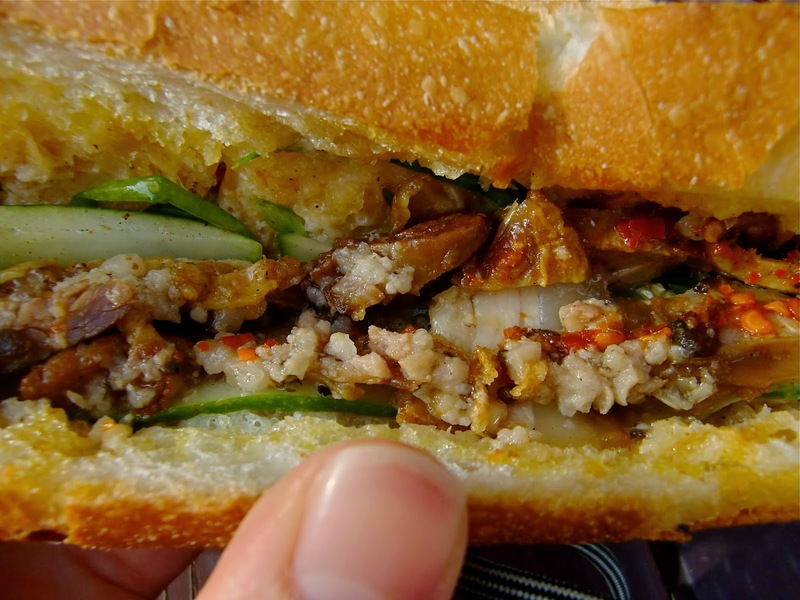 This was the banh mi that I had grown up eating in Perth. But after my trip to Vietnam in 2011 and eating a lot of amazing banh mi, especially in Hoi An, I’ve came to the conclusion that it’s all about the bread. 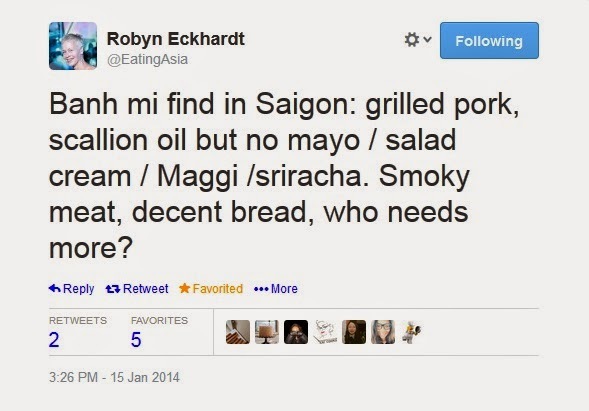 After all, banh mi just means bread. A particular kind of bread, like a baguette, but unlike the French baguette which is renowned for its chewy crust and dense interior. A Vietnamese baguette has a thinner crust that is crisp and crackly, and it’s cottony soft, light and airy on the inside due to a combination of wheat and rice flour. The baguettes in Vietnam are A+ and when the bread is good, you don’t need to put a lot into them. The other thing that I found out about banh mi in Vietnam was that the fillings were different to the ones that I had in Perth – there was no standard, I’ll just have my usual pork roll thanks. 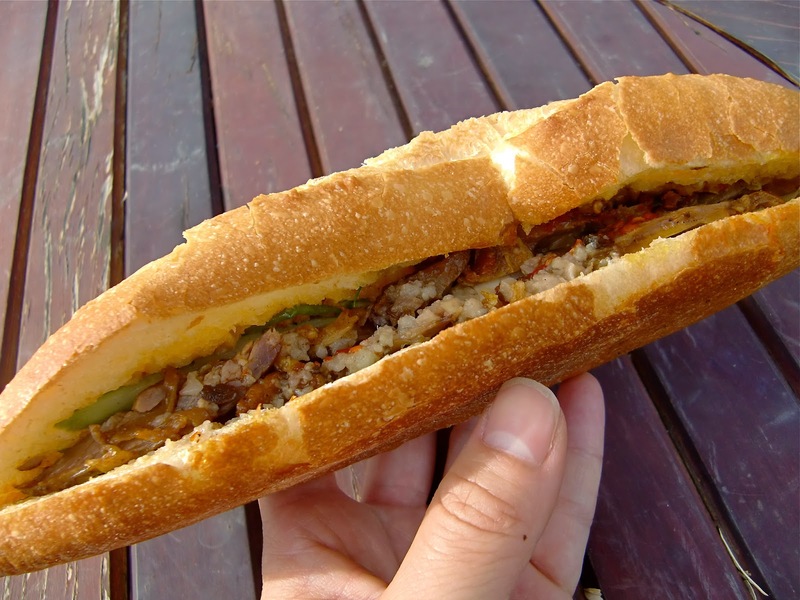 In Vietnam, you are most likely to buy banh mi from a cart on the side of a road, they will have a basket of fresh baguettes and their own mixture of fillings on the shelves ready to go. When I had my first banh mi at a corner street stall Banh Mi Pho Co in Hoi An, this was when my understanding of banh mi completely changed. It was different from any banh mi that I have had in Perth. The banh mi contained slices of cucumber, water spinach leaves, chunks of melt in the mouth pork belly and not the thinly sliced pork that I was used to, and there was also some homemade chilli sauce and a lot of little bits of fat in a light crusty baguette. There were no herbs, pickles, liver pate or mayonnaise. It was delicious, the best banh mi that I had ever eaten. 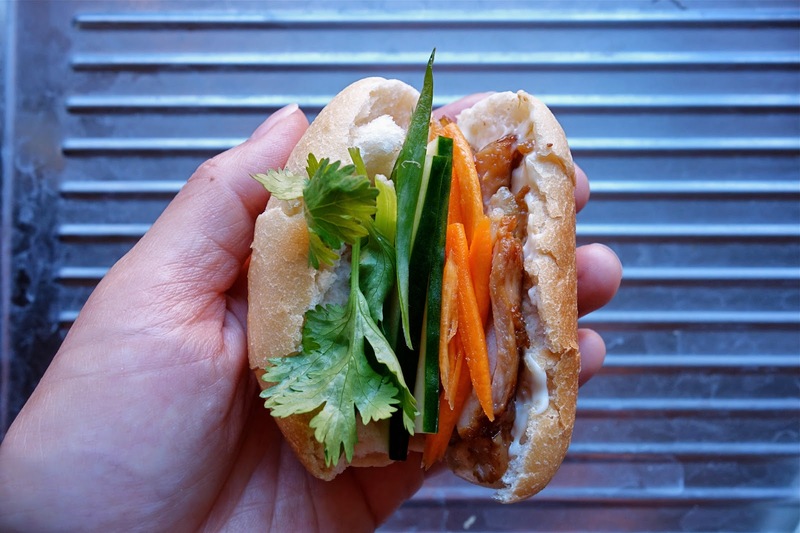 Why hadn’t I experienced this kind of banh mi before? Whilst I used to think that banh mi had to adhere to certain criteria, I’ve come to realise that banh mi can contain virtually anything, but it should have a good balance of flavours and textures to give you that mouthful of synergy which makes it so rewarding to eat. It should also enlighten you with a bang of Vietnamese flavours because that combination of salty, sweet and sour really hits the spot. And the bread, the bread has to be right. Growing up my family always bought banh mi to eat at home, we never made it as there were so cheap to buy – it was our version of fast food. 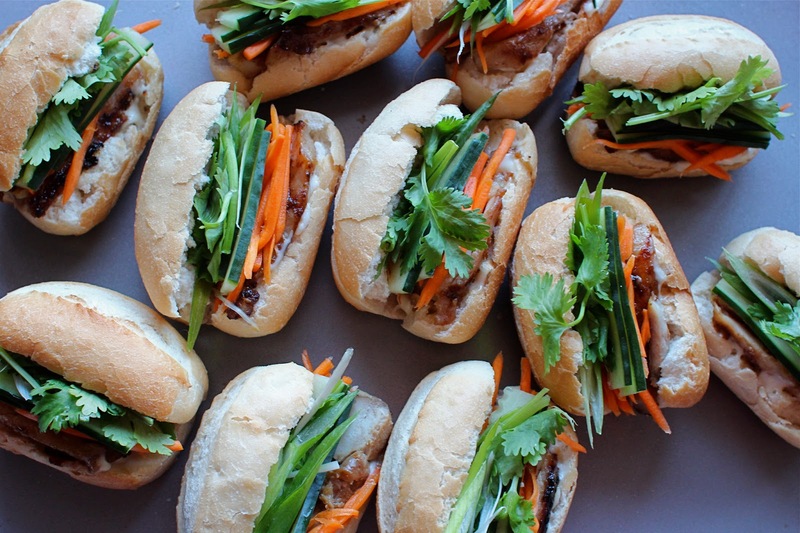 Everyone I know loves banh mi and I can’t think of a reason why you wouldn’t. 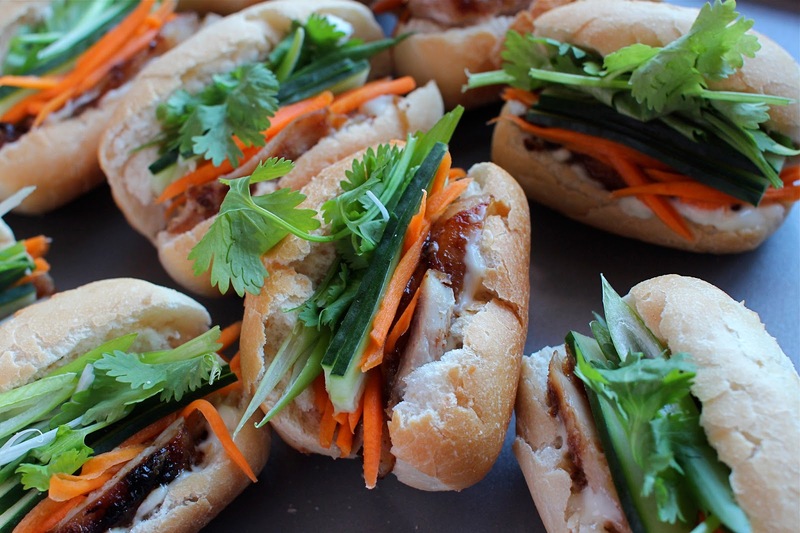 Whenever I need to bring food to share, I like to make some mini chicken banh mi which are quick and easy to prepare. For the bread I buy those mini dinner rolls from the supermarket that look like tiny baguettes and require 5 minutes of heating in the oven before consuming. I have a soft spot for these rolls because they look cute - this is why sliders are popular right? people like mini things. It also means you can eat more of them! I have to cook them in the oven so I feel like I’ve put some more effort in too. They are not the right kind of baguette as they are much denser and chewier than the Vietnamese kind but they do the trick, well at least they look the part. 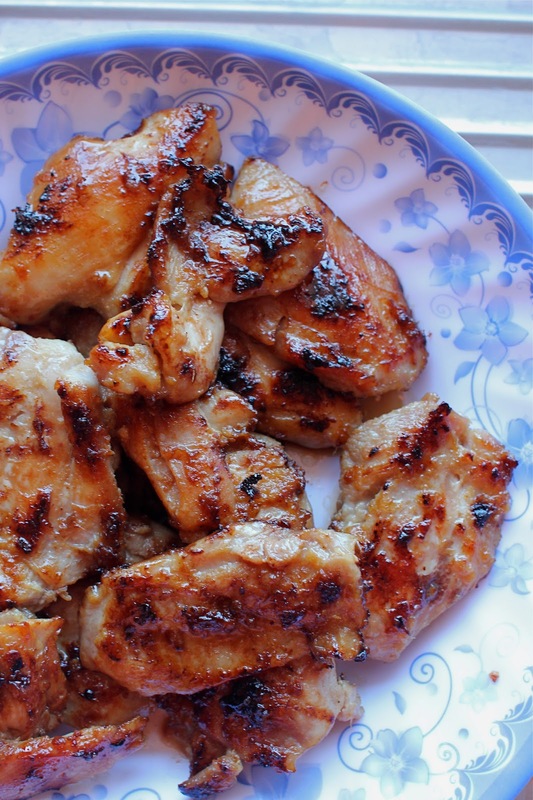 For the filling I pan-fry chicken which has been marinated overnight in fish sauce, sugar, garlic and ginger – this is a common marinade for Vietnamese meat and can be adjusted to your desired taste. To provide that Vietnamese touch of sweet and sour hit, tang and freshness – kewpie mayonnaise, pickled carrot, spring onion and coriander are also added. When I plan on making mini chicken banh mi, I pickle the carrot days before and marinate the chicken overnight. Then it’s just a matter of pan-frying the chicken and slicing it, baking the mini rolls in the oven for 5 minutes, prepping some spring onion and coriander, and each roll can be stuffed in no time at all. 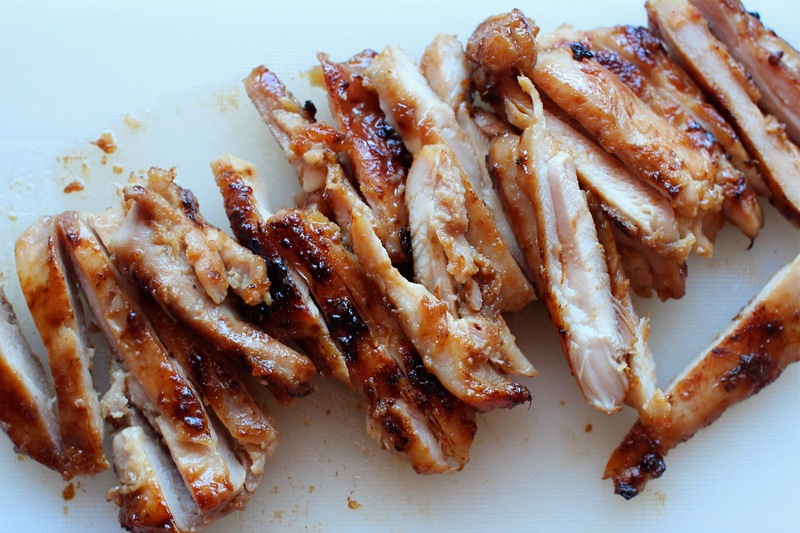 Slice the chicken thighs into 4-5 cm pieces to allow more marinade to penetrate. Mix the sugar, fish sauce, garlic, ginger, salt and white pepper together in a bowl. Add in chicken pieces and mix thoroughly so that the chicken is coated with the marinade. Cover with plastic wrap and refrigerate for at least 4 hours or overnight for best result. Pan fry or grill the pieces of chicken until cooked and browned. The sugar in the marinade will result in some caramelisation around the edges! Slice into pieces. Heat the rice vinegar, sugar and salt together in a saucepan, and stir to dissolve the sugar and bring to a boil. Remove from the heat and set aside to cool. Put the carrot in a jar and pour in the pickling liquid, leave to pickle overnight. Pickled carrots can be stored in a covered jar and refrigerated for 2-3 weeks. When using, take the carrots out of the pickling liquid. Step 2: Squirt in kewpie mayonnaise and use knife to spread on the base. Step 4: Top chicken with pickled carrot, sliced spring onion and chopped coriander. I can devour many of these babies! So going to make these, they look and sound amazing!! Oh I got the WORST food envy in Vietnam every time we walked past one of the motorbike hawker's guys. They wereEVERYWHEREand smelt soo good.